Cramming 5 days of wedding celebrations into 2 minutes, let’s do this! Why did you choose Portugal for your wedding? Kate – We love Portugal, it’s a beautiful place, we always wanted a beach wedding and when we visited Evaristo we knew it was perfect for us! The food is amazing and we wanted to get everyone together to spend some quality time together rather than a one day rush! What were your favourite parts of the whole wedding vacation? Kate- my favourite part of the wedding (there are so many to choose from) was the wedding day itself. 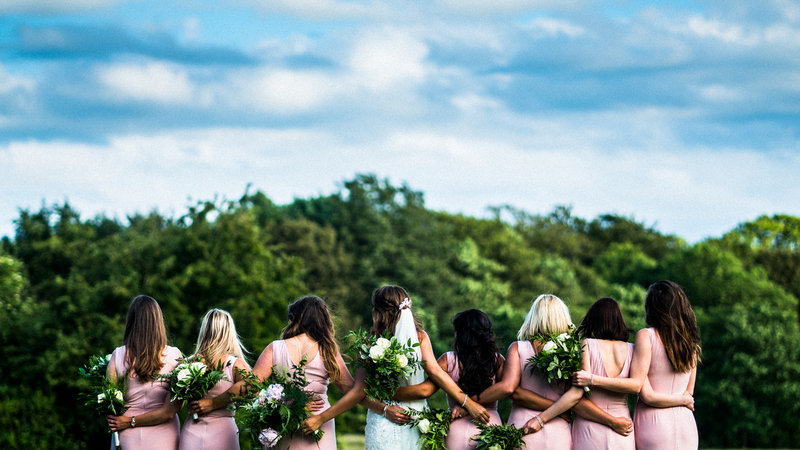 Getting ready with my favourite ladies all together, wearing the most beautiful dress and walking down the steps at Evaristo seeing Iain waiting for me (nothing new there). My hen do has also got to be a close second. It was a perfect traditional venue with a Portuguese live band, tapas and drinks flowing all night (followed by a boogie down on Albuferia strip). We also got an Irish lad to sing and play the guitar for us so we could dance to some English songs. All the girls made such a huge effort with the spa, games and memories with my best pals. They all made such an effort and made me feel so special! Iain – Hard to choose just 2 really, the first has to be wedding day, what a day. It was such a whirlwind in regards to the amount of jobs Kate gave me our Kris to do on the day but like a true champion my best men helped me deliver by 2pm then I got chance to relax. I think what I loved most about the day most was where ever I looked people where having the best time, the food was amazing the music equally as good. The second is the BBQ the day after, as everyone knows I love a good after party, after an amazing event, I also think it was again a great time for everyone to hang out that once more make some extra friendships, talk about the wedding and week we had together. Kate -We wanted to get all of our best mates and families together for a holiday to spend quality time together. We wanted to bring people together and give them an experience they would always remember. People don’t often make such an effort to holiday with friends so we wanted to make the most of an opportunity to have all our nearest and dearest together. Kate – We wanted to capture the memories on film so we could get ‘the feeling’ when we watched it back. Photos just don’t capture the experience like a video does. Plus it allows us to share the experience again with those who mean so much to us! Iain – Well I’ve known Roland for 17 years now, apart from him having an amazing talent and captures the essence of a wedding. Also the magic film make it a lot better than photos, films are timeless and being a film addict I wanted that.